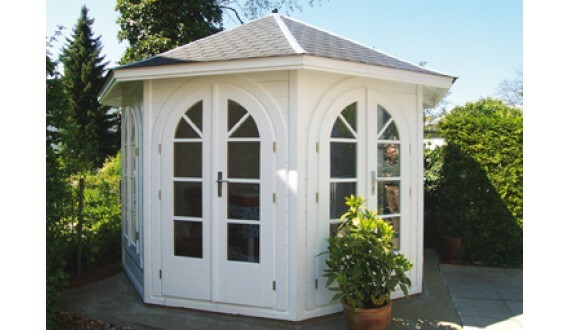 A Lugarde or Palmako Summerhouse will enhance any garden. With our extensive range of products you can choose from a wide variety of shapes and sizes to create a wonderful outdoor feature for your garden. Perfect for a cosy seating area, a storage facility for your garden tools and patio furniture or simply create a lovely outdoor living room, pool room, studio or garden office and workshop. 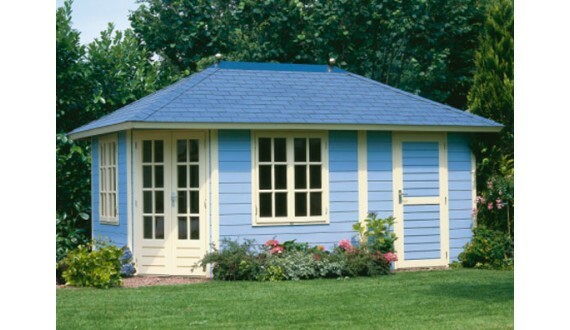 All Lugarde garden summerhouses are based on the Prima 3=1 system which is unique and patented to Lugarde. The Prima 3=1 system is simple and durable, allowing the walls to be put together without the need for nails or screws and to work under all weather conditions. All Prima 3=1 garden houses can be linked together, offering consumers a broad range of usage possibilities for their garden house (for example office, storage, lounge room, guesthouse or consulting room). Extensions can also be realised later. Prima 3=1 garden houses can be easily adapted to your personal taste and living environment.